This recipe is incredibly versatile. Use up any vegetables that need eating up and taste good roasted. Ill switch things up all the time depending on what Ive got. 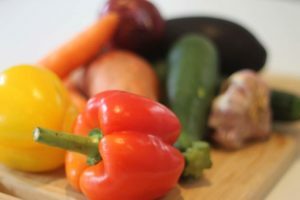 I love eating the colours of the rainbow to ensure my family and I are getting a whole range of different nutrients. I save time by not pealing any of the vegetables and if you need to make this in advance just cook the night before and then store in an airtight container in the fridge. When you are ready to use just gently reheat in the oven for about 10 minutes. 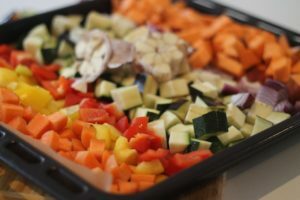 I bulk up this tray of vegetables with some leftover quinoa and will often serve it with some baked salmon, sausages, fish or at lunch time with a fried egg on. So delicious. So nourishing. 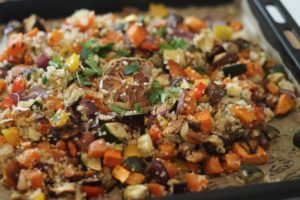 Share the post "Roasted Vegetable And Quinoa Salad"
If you don't have leftover quinoa cook the desired amount in a pot using the provided instructions. Drizzle over the olive oil, add the dried herbs and seasoning and mix well on the tray using your hands. Roast in the oven for about 35 - 40 minutes, stirring once or twice in-between to ensure the vegetables are cooking evenly. 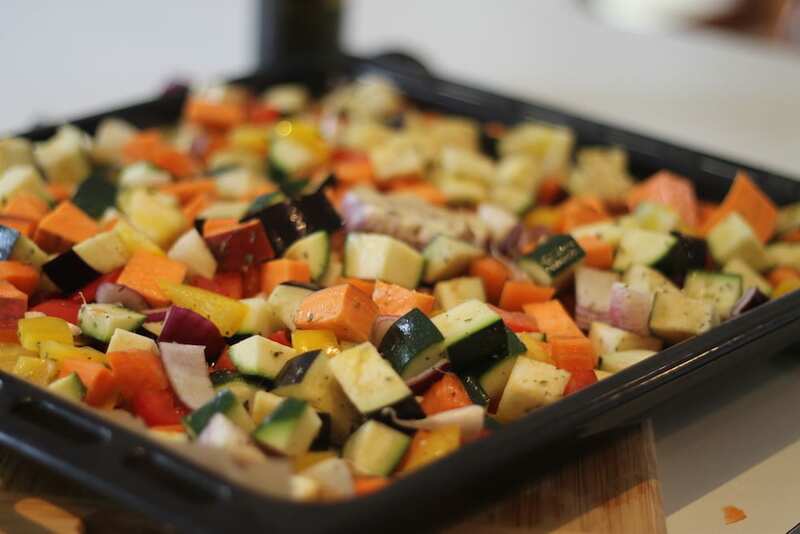 Once cooked through and vegetables are caramelising around the edges remove from the oven and allow to cool. Top with the cooked quinoa, combine well with a spoon and serve. 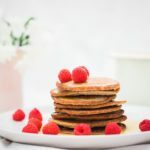 If you'd like to receive more recipes like this don't forget to sign up to the newsletter below. 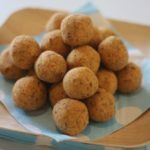 Health Coach, Sharon Selby proves that life after 'dairy and gluten' is not only possible, but easy and delicious. 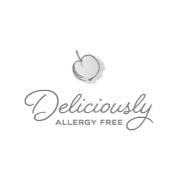 Specializing in allergy-friendly living, Sharon runs classes and online courses teaching families how to cook nutritious, tasty meals while being on a restricted diet. Her passion came from healing her son's multiple food allergies, intolerance and eczema by the time he was 18 months old. Sharon loves sharing that good health begins in the kitchen and with a nutritious diet families will thrive. 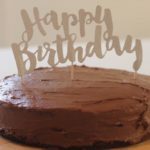 Subscribe for delicious recipes and your FREE recipe ebook. Learn how to heal eczema for good with this FREE video training. 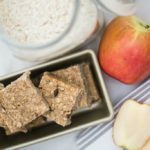 Allergy-Friendly Meal Plan – FREE! Get 7 days’ worth of delicious, healthy, allergy-free recipes. They’re all a cinch to prepare, tasty as anything, and will delight even the fussiest eaters! Share the post "Spiced Chicken Wings"
Sharon just inspires action and has made a huge impact on my journey as a mum and to our family. Listening to her talk and follow her strategies and recipes has improved the health and wellbeing of my whole family. My son has been eczema free since I started the diet suggestions after Sharon’s free webinar. It took about 3 months to completely clear it and there is no sign of it coming back. So grateful! 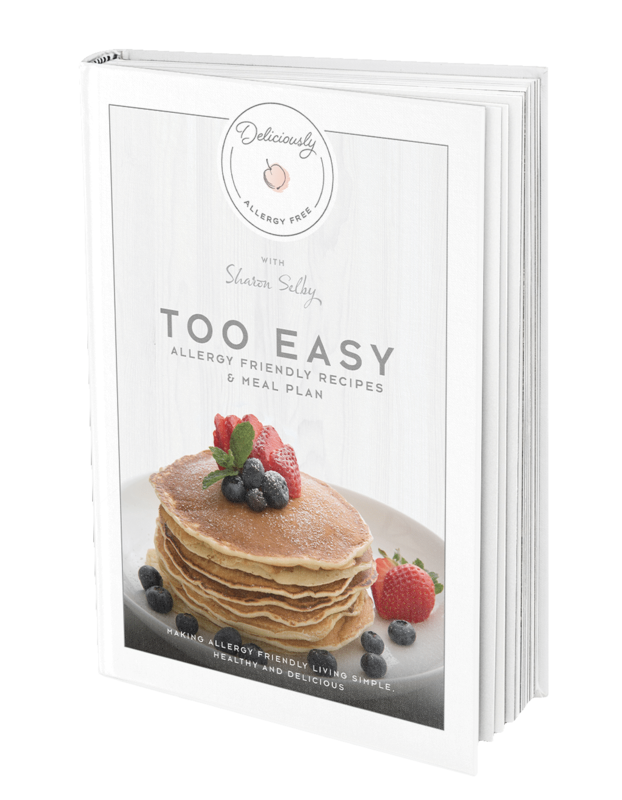 Sharon Selby is a certified health coach, speaker, wellness blogger, recipe creator and relentlessly passionate advocate for women’s and children’s health. Her wellness philosophy – and her signature recipes – have been featured on some of Australia’s biggest media sites. Get in touch here. Enjoy a collection of delicious, healthy, allergy friendly recipes neatly packaged into a weekly meal plan. 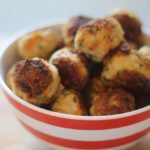 All the recipes are a cinch to prepare, tasty as anything, and will delight even the fussiest eaters! We respect your privacy and your information will never by shared or sold to any other parties.